Very successful business in the heart of Prince George. Fully-occupied rooming house and hostel. Hostel has large common area, kitchen, men's/women's bathrooms as well as office area. Rooming side consists of 2 units - $550.00, 15-$375.00, 1-2 bedroom suite - $850 and one 1-bedroom suite $750.00. An 800 sq ft (currently vacant) retail space with full, partially-finished basement has lots of storage and work area. Updated electrical and panels, 2 new hot water/gas boilers, some new plumbing, and new windows in 2007. Suites on main are currently undergoing updating. 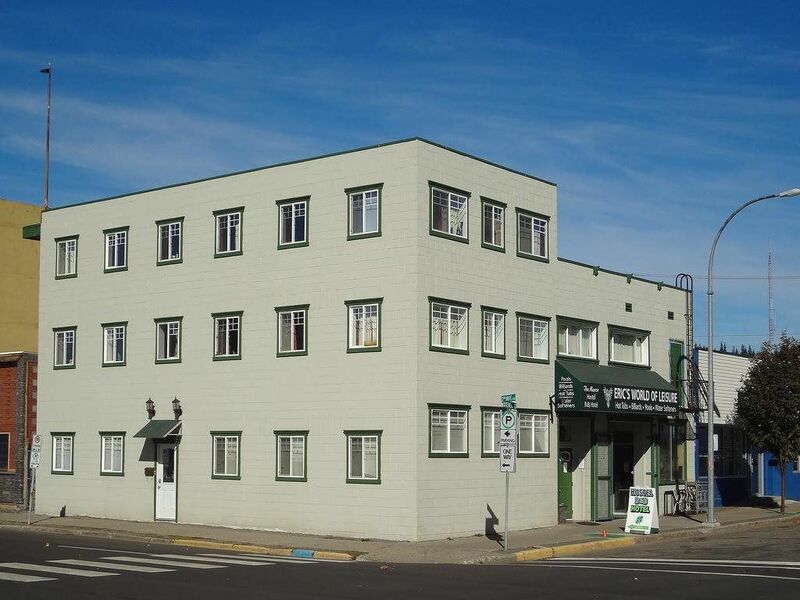 Located on the corner of 2nd and Quebec, close to shopping, businesses, VIA train station, and much more. Great money-maker at a great price!